It seems that everyday we discover a new tool or platform that was developed to help ecommerce merchants grow and manage their businesses. Improved technology is making it easier for merchants of any size and any budget to utilize these tools and platforms to grow their business in an efficient and effective manner. While there are near innumerable tools to help you get the job done, we of course have our favorites. Following are six of the essential cutting-edge tools and platforms to help you grow and manage your ecommerce website. Vend POS is a cloud-based tool that allows you to manage point of sale and provides a retail platform for brick-and-mortar locations. 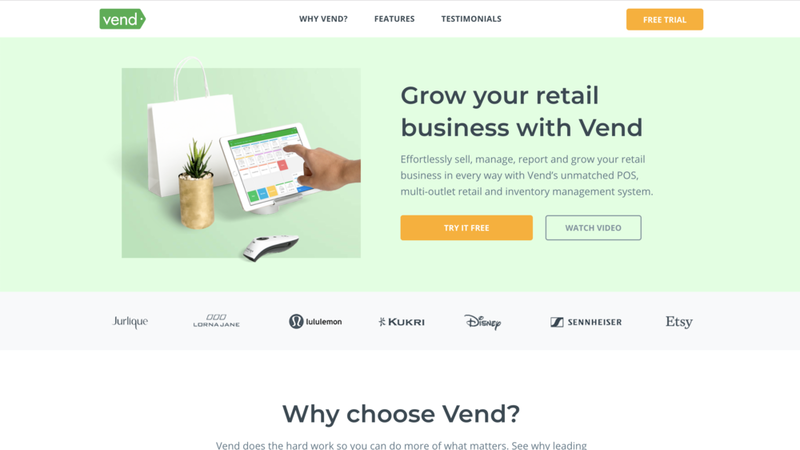 Vend helps merchants do a variety of different things including buying, selling, measuring, and managing their inventory all from one place. The platform also provides ways for business managers to accept payments, track customers, manage inventory, track the effectiveness of their incentives programs, and provides analytics in real-time for managers to help keep track of how their company is performing. Shipstation is a centralized platform that allows you to import, manage, and ship your orders all from one convenient location. Shipstation takes the complexities and hassles out of shipping and makes it easy for you to scale up your business by getting rid of all these complications that tend to like to occur along the way. When you ship more in less time your customers will receive their products faster and they will come back to your company to purchase again and again. Klaviyo helps growth-focused ecommerce brands drive their sales up with targeted and personalized emails that are relevant to that brand's specific customers. Klaviyo is also able to use social media sites like Facebook and Instagram marketing. The program helps segment your customers, allowing you to look deeper into the statistics without requiring any spreadsheets to do so. Klaviyo’s email platform provides you with auto-responses that are built in and ready to be used at any time. You are also given reports on transactions and sales, not just on opens or clicks. YotPo understands that great brands are built on satisfied customers. YotPo helps you accelerate your business's growth with a full suite of solutions to fit all of your customers. 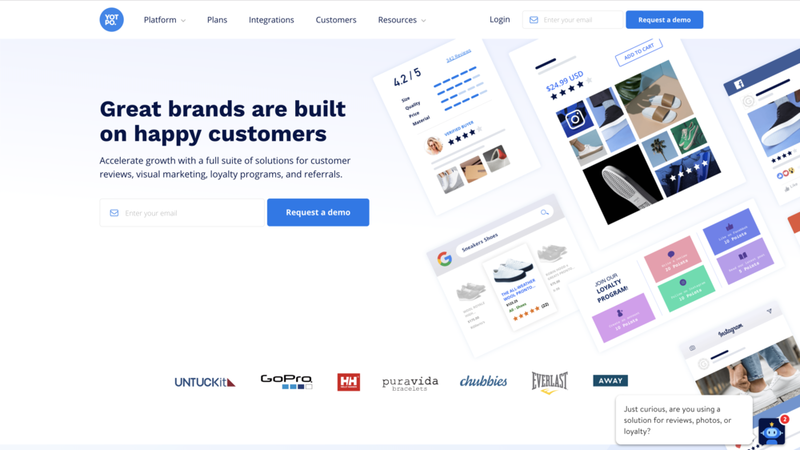 YotPo provides you with tools to help you manage customer reviews, assist with visual marketing, track customer loyalty, and see referrals to your business, all in one easy and central place. Ultimately, understanding all of this helps you build a better journey for your clients and allows you to provide them with a better experience when they use your company. Fishbowl is the #1 automation business platform for QuickBooks. Small and midsize businesses can use Fishbowl to manage Quickbooks and customize it to help them keep track of their business expenses. You can also use this platform for accounting while allowing the business to incorporate other advanced features such as keeping inventory at the same time. Other features include: managing multiple locations, part-tracking, manufacturing, shipping integration, LIFO/FIFO/Standard accounting methods, landing costs, and consignment to name a few. ZenTail is one of the fastest ways to centralize and mainstream your growing business. You are able to centrally manage your listings through sites such as Amazon, Walmart Marketplace, Shopify, Magento, Google Shopping, and more. This is the most powerful, inclusive all-in-one multichannel solution for everything from product listing to keeping inventory to ordering and stocking new products and everything in between. In an ever-growing world of technology more and more tools and platforms are available that will help you both grow and manage your business. Choosing the right tools and platforms with which to manage your business can help save you hours of time and allow you to focus on being more productive and accelerating your business's growth when it matters most.